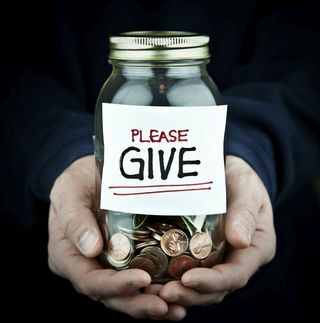 At The Robinson Law Firm, we encourage and assist the tradition of giving to charitable causes. When done in conjunction with estate planning, charitable giving strategies may also save capital gains taxes, increase income, and provide you, or whomever you designate, with an income for life. Additionally, these types of gifts may provide an estate tax deduction — an important consideration in planning your estate. This page describes a few of the strategies that may be used to maximize your charitable giving. The Charitable Lead Trust is a type of charitable trust that can reduce or virtually eliminate all estate tax on wealth passing to heirs. In order to accomplish this goal, youcreate a trust that grants to a charity or charities, for a set number of years, the first or 'lead' right to receive a payment from the trust. At the end of the term of years, your children or grandchildren receive the balance of the trust property--which often is greater than the amount contributed--free of estate tax in most instances. There are significant income, estate and gift tax benefits which flow from the establishment and funding of a private foundation, and the use of a private foundation has substantial estate and gift tax benefits to donors. Contributions to private foundations (both operating and non-operating foundations) are deductible for federal gift and estate tax purposes. The private foundation may be funded during the donor's lifetime or may receive the bulk of its funding from distributions from the donor's revocable living trust at the donor's death. In addition, the private foundation may serve as the charitable receptacle for distributions from charitable remainder trusts and/or charitable lead trusts established by the donor. Significantly, the private foundation may provide a tremendous opportunity for donors to educate family members as to the donors' philanthropic goals, and may also provide younger family members with a sense of responsibility and stewardship of family wealth. The Charitable Remainder Trust ('CRT') is an irrevocable trust that permits you to transfer ownership of assets to the trust in exchange for an income stream to the person or persons of your choice (typically you, your spouse or you and your spouse) for life or for a specified term of up to 20 years. With the most common type of Charitable Remainder Trust, at the end of the term, the balance of the trust property (the 'remainder interest') is transferred to a specified charity or charities. Charitable Remainder Trusts reduce estate taxes because you are transferring ownership to the trust of assets that otherwise would be counted for estate tax purposes. A Charitable Remainder Trust can be set up as part of your revocable living trust planning, coming into existence at the time of your death, or as a stand-alone trust during your lifetime. At the time of creation of the CRT you or your estate will be entitled to a charitable deduction in the amount of the current value of the gift that will eventually go to charity. If the income recipient is someone other than you or your spouse there will be gift tax consequences to the transfer to the CRT. At the end of the term of a Charitable Remainder Trust, the remainder interest passes to qualified charities as defined under the Internal Revenue Code.